I have to admit; been there, done that. Unfortunately. 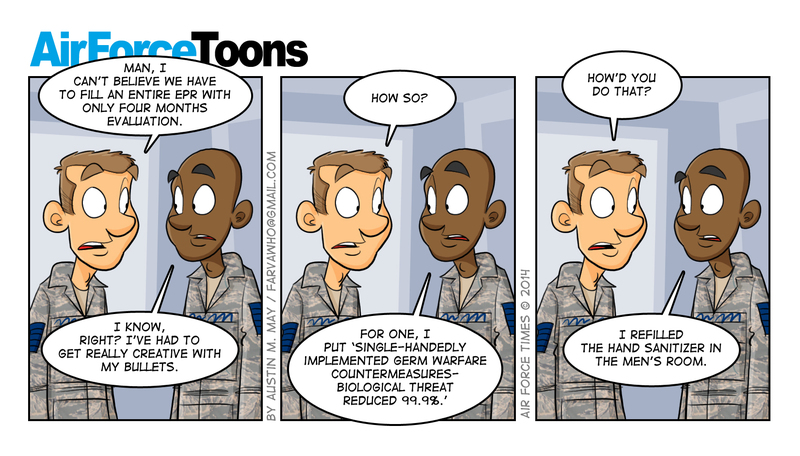 This cartoon goes right along with the artist’s past “Star Wars” themed cartoons regarding EPRs. You can spend 10 – 12 hours a day for 6 months on the same project/task/objective, ignoring your family, forgetting to eat, and loosing sleep, but it is good for only one EPR bullet. Which then demands some creative writing.